At the end of last month, the Western District Families Pioneer Obituary Index had 696 pioneers listed. With this post, the number passes 700. My ggg grandmother is the first pioneer for January and becomes pioneer number 697. 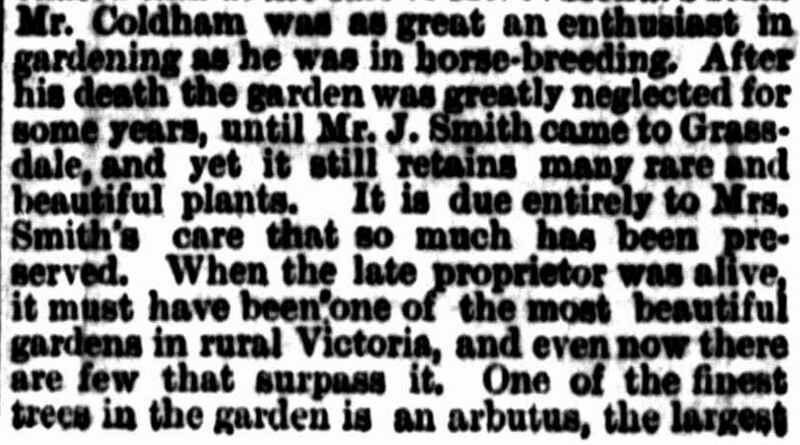 Therefore, the 700th pioneer obituary belongs to Thomas Fitzgerald of Warrnambool and appropriately so. Thomas was 111 when he died and some early 20th-century genealogical investigation confirmed his age. To see the full list of 711 pioneer obituaries at Western District Families go the Pioneer Obituary Index. Don’t forget any underlined words in this post and others at Western District Families are links leading you to further information about a subject. Ellen BARRY – Died 24 January 1882 at Colac. Ellen Barry, born in Tipperary, Ireland around 1823 was my ggg grandmother and her obituary was not like the others here. Rather it was a news article, published across Australia after the events of the night of 24 January 1882 at Colac. You can read more about Ellen’s tragic life and death in an earlier post “A Tragic Night”with links to further stories about Ellen. Patrick HYLAND – Died January 1884 at Tarrington. Patrick Hyland was born in Ireland around 1823 and as a newlywed in 1841, arrived in Portland with his wife Elizabeth Darcy. He got a job working for Arthur Pilleau at Hilgay near Coleraine and remained there around ten years before taking up a position as overseer of Edward Henty’s Muntham Station. In between, Patrick had a short stint as publican of the Sandford Hotel, transferring his licence in 1859. Footrot was rife through the Western District in those times and while at Muntham, Patrick introduced practices to eradicate it and with success. 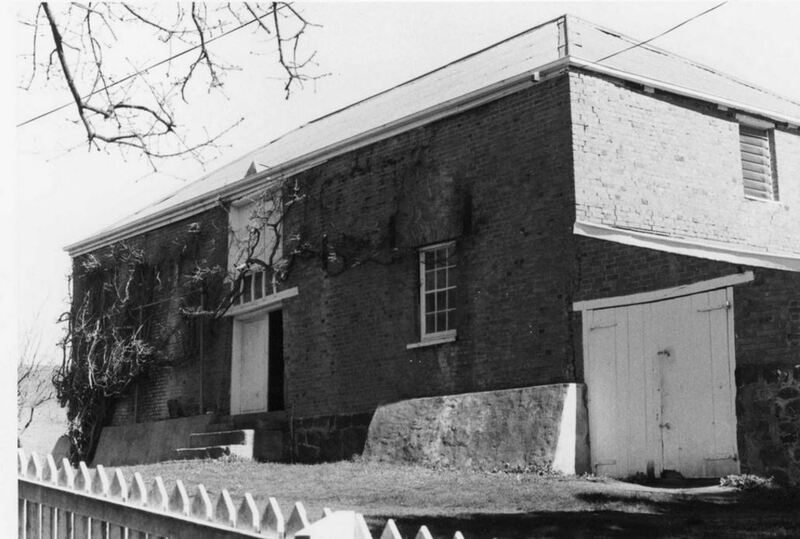 Patrick later moved to Tarrington and continued working for the Hentys at Stephen Henty’s Tarrington Estate. John ROBERTSON – Died 16 January 1905 at Strathkellar. John Robertson was born at Ballater, Aberdeen, Scotland around 1823. He arrived in Victoria with his family in 1840 on the John Bull. John’s father John Robertson Sr. settled first in at Broken River but as the land wasn’t suitable, he went into partnership with William Skene and purchased the Mount Mitchell Station west of Melbourne. He eventually purchased more property including at Victoria Valley Station. John Robertson Jr. eventually inherited the Victoria Valley property and settled there. 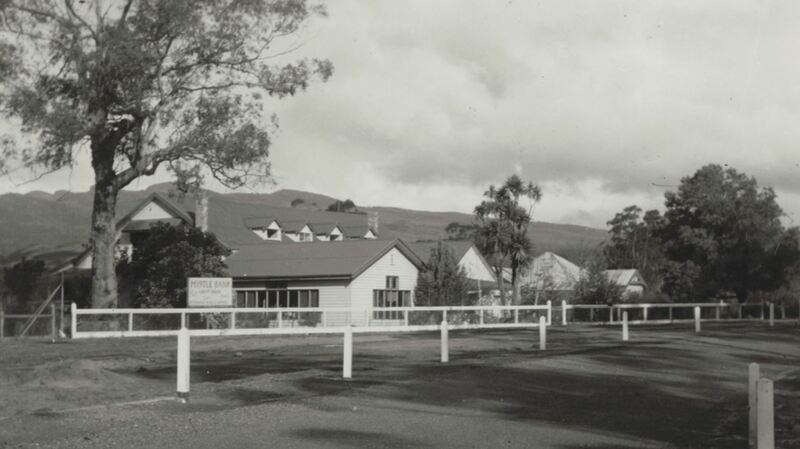 In 1855, John married Mary Jane Carter, the daughter of Charles Carter of Rosebrook near Wartook in the Grampians and they had two sons and five daughters. Thomas FITZGERALD – Died 26 January 1909 at Warrnambool. Thomas Fitzgerald was one of those people who was better known posthumously. In 1904, Thomas was admitted to the Warrnambool Benevolent Asylum. At the time, he gave his age as 106 and those in charge were curious, so much so they wrote to Ireland for verification. They received word back and found Thomas was on the level. He was born in Kerry, Ireland on 11 January 1798. Therefore at the time of his death, he had just turned 111 years old. Thomas Fitzgerald apparently arrived in Victoria in 1855 aboard the Margaret Chisholm, already aged fifty-seven. I found only one reference to a barque Margaret Chisholm, when she arrived Port of Melbourne on 1 June 1857 all they way from Corner Inlet, Gippsland! Thomas may have remembered his birthday but details of his arrival seem sketchy. When Thomas died, news of the old man went around the country. 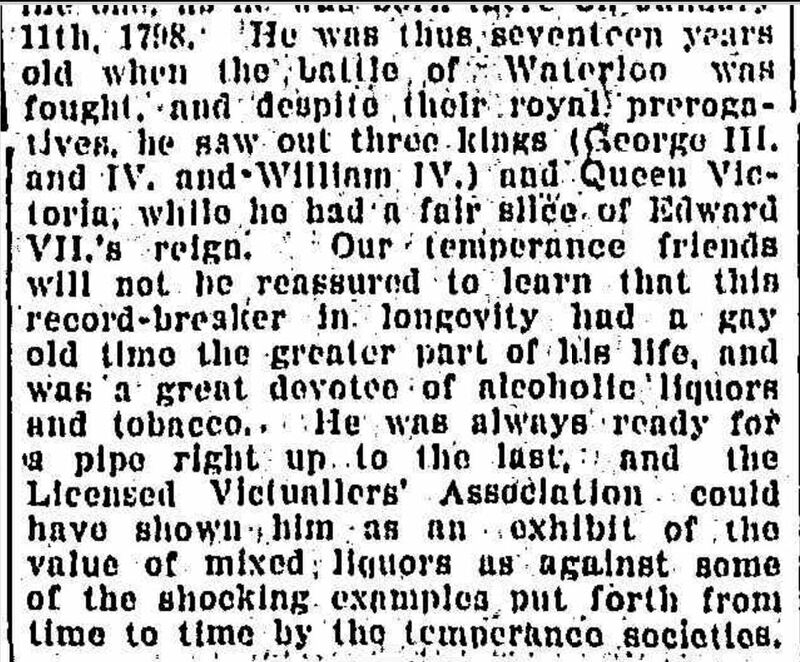 The Newcastle Morning Herald and Miners’ Advocate published the following unflattering article with a dig at the Temperance movement. “THAT WARRNAMBOOL CENTENARIAN.” Newcastle Morning Herald and Miners’ Advocate (NSW : 1876 – 1954) 13 February 1909: <http://nla.gov.au/nla.news-article138584038&gt;. “PORT MORESBY.” Leader (Melbourne, Vic. : 1862 – 1918) 30 June 1906: 36. <http://nla.gov.au/nla.news-article198364516&gt;. George was Church of England and even when struck with ill-health would make the trip to Stawell on Sundays travelling over twenty miles on a rough road. Along with Ann, George left seven daughters and five sons at the time of his death. Two sons were serving overseas. Francis Edgar Warren was killed at Gallipoli six months after his father’s death on 17 June 1915. Leslie Parsons Warren later returned home. 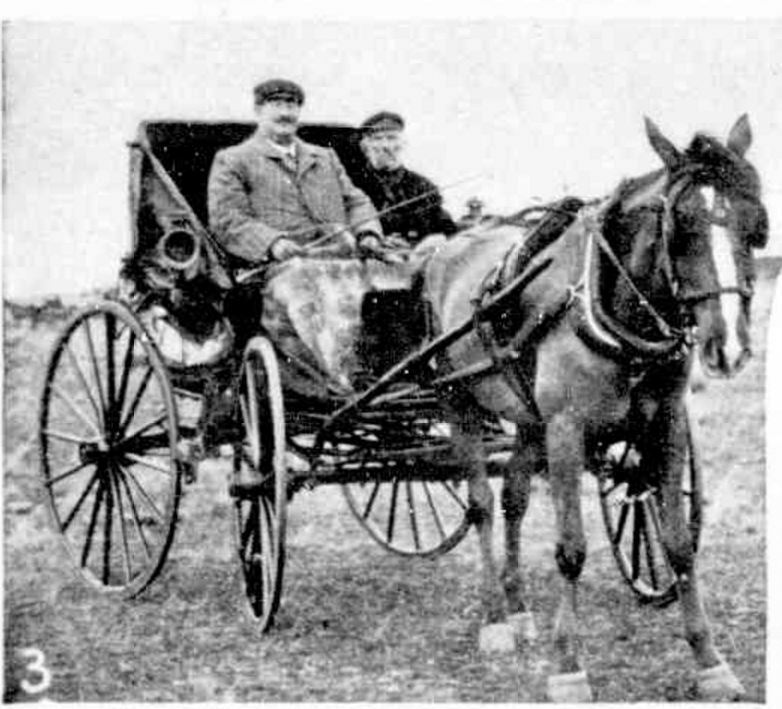 Ann continued running Myrtlebank after George’s death until her own death in 1935 at Hamilton. Bridget CAREY – Died January 1916 at Hamilton. Bridget was born in Ireland around 1835 and arrived in Victoria with her husband Joseph Lanphier. Joseph got work as an overseer of Kanawalla Estate just north of Hamilton but on 18 October 1875 at the age of fifty, he was killed on the property after a fall from a horse. Bridget moved closer to town, residing at Stanview on the Cavendish Road near the Hamilton Racecourse. Around 1908 Bridget, described as a robust woman, tripped on the step while entering St Mary’s Catholic Church (below) in Hamilton and was never the same. Although bedridden Bridget remained cheery to the end. She left eight children at the time of her death. James McNAUGHTON – Died 5 January 1917 at Ellerslie. James was born at Perthshire, Scotland in 1832. During his twenties, James arrived in Portland with his family including his father James McNaughton Sr. and started work as a stonemason. 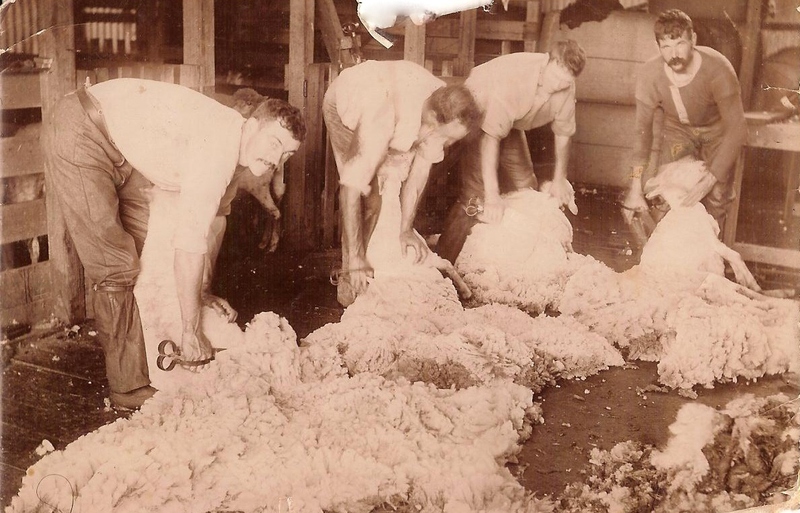 His occupation saw him work on some of Warrnambool and Portland’s main buildings and a number of homesteads. James married Mary Ann Osborne in 1860 and they moved to the Ellerslie district. Mary Ann died in 1915. Mary AHERN – Died 17 January 1917 at Hamilton. Mary Ahern was born in County Clare, Ireland in 1834 and arrived at Geelong on 6 June 1857 aboard the Black Eagle accompanied by her brother Patrick in 1857. On arrival, they met their sister, Anne who had been in Victoria for four years. The Victorian Unassisted Passenger list has the following entry beside Patrick’s name. “Gone to visit sister at J.Gibson’s Fyans Street.” Mary’s entry reveals she gained employment as a housemaid for three months for Mr Howe of Park Street, Kildare (Geelong West). In 1859, Anne Ahern married Richard Elijah and they moved to Hamilton. Mary stayed on in Geelong for a few years before moving to Ballarat where she remained until she bought a house in Clarendon Street Hamilton. Sampson SMITH – Died 26 January 1917 at Caramut. Sampson Smith arrived in Australia as a baby around 1852 when his parents landed at Warrnambool. As a young man, he went to the Wimmera and ran his own farm at Dunmunkle. In 1901, Sampson arrived in Caramut and took up the position of librarian at the Mechanics Institute. He was also secretary of the institute and a secretary and trustee of the Caramut Cemetery. He found time for a role as correspondent for the Caramut School committee and registrar of Birth, Deaths and Marriages in the town. Sampson was a keen horticulturist and exhibited his flowers at local shows. He left a widow and two daughters and six sons. A further obituary was published in the Penshurst Free Press on the link – Sampson Smith Obituary. Margaret POWER – Died 5 January 1918 at Port Fairy. Margaret Power was born in Tipperary, Ireland around During the 1850s, Margaret and her husband James Prior arrived in Melbourne aboard the Sarah Dixon. 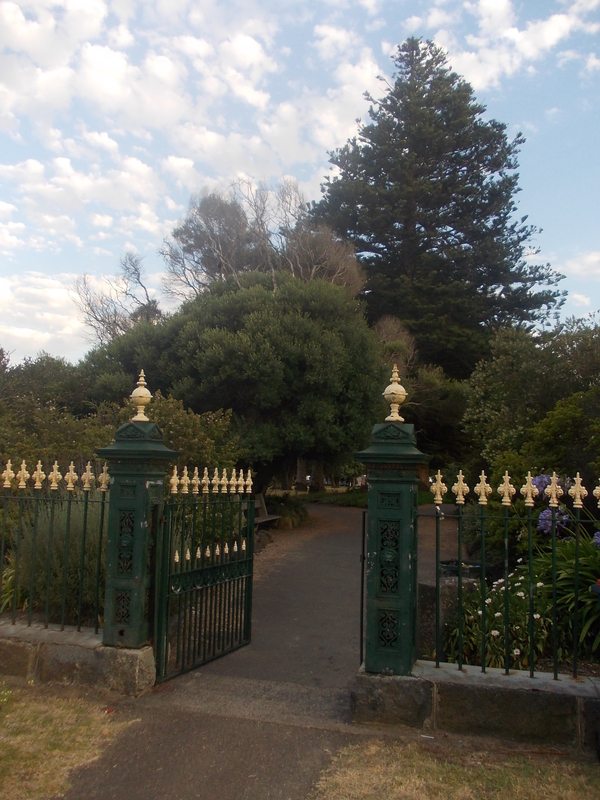 They soon made their way to Port Fairy and settled and James worked as the curator of the Port Fairy Botanical Gardens. 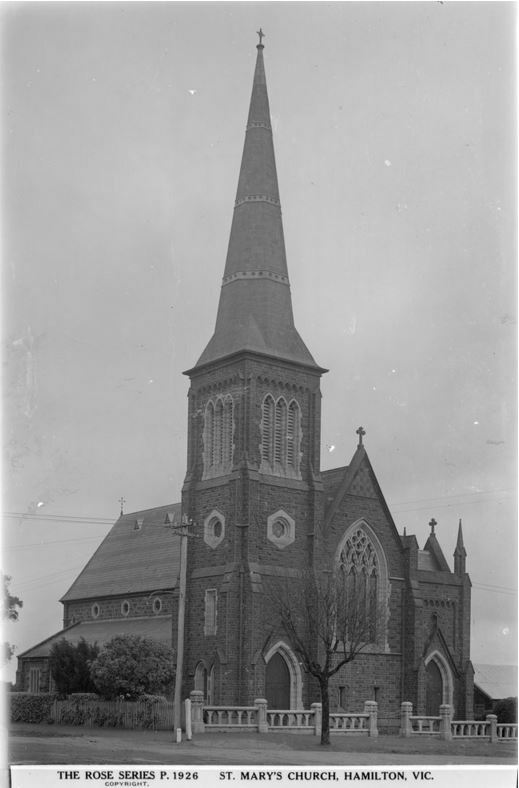 Margaret and James had two sons and three daughters and attended the Port Fairy Catholic Church. James died in 1911 and Margaret went to live with her daughter in Sackville Street where she died in 1918. Friedrich LINKE – Died 29 January 1918 at Lake Linlithgow. Friedrich Linke was born in Magdeburg, Germany around 1837 and arrived in South Australia in the early 1850s. He gained employment in Adelaide, saving his money before travelling to Victoria and selecting land just west of Lake Linlithgow near Penshurst. In 1865, Friedrich married Anna Harnath and they went on to have twelve children. Friedrich was buried at the Tabor Cemetery. Euphemia Adamson WALKER – Died 23 January 1937 at Hamilton. 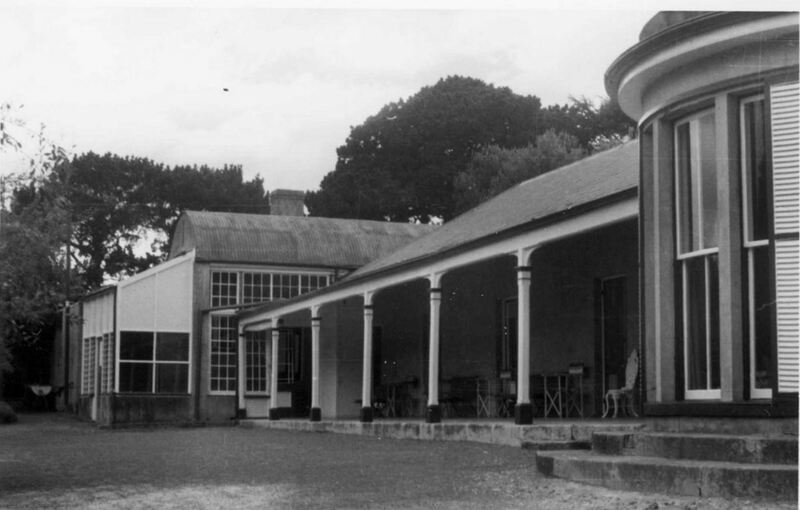 Euphemia Walker was born at Dixie Estate, Camperdown around 1856. Her father was Duncan Walker. In 1881, Euphemia married John Smith, manager at The Sisters and later Mount Noorat for Niel Black. “Family Notices” The Argus (Melbourne, Vic. : 1848 – 1957) 4 May 1881: <http://nla.gov.au/nla.news-article5988835&gt;. In late 1885, John in partnership with Messrs Black Bros. sons of Niel Black purchased Grassdale Estate near Merino. Eventually, John became sole owner of the property and he and Euphemia went on to have three sons. During 1890, John was of ill health and spent three months recuperating in Camperdown, while Euphemia’s brother managed Grassdale. In just a few years at Grassdale, Euphemia was receiving praise for her garden, a restoration of the garden of the former owner, John Coldham. “IN THE WANNON COUNTRY.” The Australasian (Melbourne, Vic. : 1864 – 1946) 3 January 1891: <http://nla.gov.au/nla.news-article140168027&gt;. Euphemia was Presbyterian and taught Sunday School at Tahara. Meanwhile, John was a councillor with the Portland Shire. In November 1905, the 9000 acres of Grassdale Estate was subdivided into seventy-five lots and sold at auction. John and Euphemia remained at Grassdale. During February 1915, Euphemia and John’s son Eion Lindsay Smith sailed for Egypt with the 8th Light Horse Regiment. Eoin was killed at Gallipoli on 27 June 1915. John Smith died at Grassdale in 1921 and Euphemia moved to Hamilton, residing at Coela in Gray Street and attended St. Andrew’s Presbyterian Church. Charles Arthur LEY – Died 17 January 1943 at Casterton. Charles Ley was born in a shepherd’s hut on Dunrobin Station around 1860. His education was limited to learning from his parents and a man known as Ben. Charles first worked for Mr Target who founded the Casterton News, next for the proprietor of the Glenelg Inn at Casterton. After a stint working with a butcher, delivering meat on horseback, Charles worked on the railway line between Henty and Sandford. In 1885, he married Annie Cotter and he began work for James McPherson at Nangella. From Nangella, Charles worked at Muntham, Wando Vale and Bella Vista until 1889. He then turned to share farming at Bella Vista and finally in 1912, Charles settled on an allotment from the subdivision of Dunrobin Station where he started life. Charles was survived by three sons and two daughters. Sarah Harriet Ann WARREN – Died 13 January 1950 at Cobden. Sarah Cooke was born around 1877 at Elaine and in 1898 she married Jens Rasmussen at Ballarat. In 1907, they moved to Cobden and ran a boarding house in Curdie Street opposite the Cobden Catholic Church for twenty-five years. Sarah attended Cobden’s St Mary’s Church of England. During WW1, Jens enlisted at the age of forty-three and left for France in January 1916, serving with the 2nd Tunnelling Company before returning to Australia in 1918. Moving on from the boarding house, Jens and Sarah bought a farm at Jancourt East where they remained until a few years before Sarah’s death when they returned to Cobden in retirement. On 25 December 1949, Sarah and Jens celebrated their Golden Wedding anniversary and within weeks, Sarah died aged seventy-three. She left four sons, one daughter and thirteen grandchildren. Jens, around four years older than his late wife, remarried in 1952 but died around six weeks later during June 1952. This entry was posted in Pioneer Obituaries and tagged Ahern, Barry, Carey, Fitzgerald, Hyland, Ley, Linke, McNaughton, Nimmo, Power, Robertson, Smith, Walker, Warren. Bookmark the permalink.